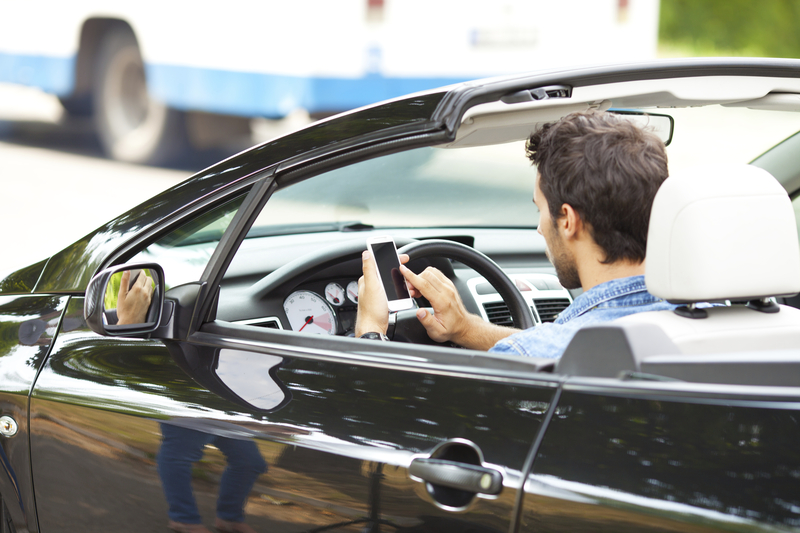 Nearly every state in the nation has some form of law against texting while driving. But the problem persists -- and it might be bigger than we thought. A new survey finds that drivers are not just texting from behind the wheel; they're surfing the web, video chatting and using social media, too. The survey, from AT&T, asked over 2,000 Americans 16 to 65 who drive at least once a day and use a smartphone at least once a day when and how they let those two behaviors overlap. Texting took the cake: Over 61 percent of respondents admitted to reading and/or sending texts while driving. A third said they go online or check email. Twelve percent watch videos, 10 percent video chat, and fully 17 percent said they take driving selfies. Nearly four in 10 -- 38 percent of drivers -- said they go on social media while in the driver's seat, a behavior for which 17 percent blame social media addiction. Facebook steals attention from 27 percent, more than half of whom say they "actively engage" in the social network while driving, meaning they post updates. Fourteen percent go on Instagram and Twitter. A third of those say they tweet and drive "all the time." Interestingly, more people Snapchat in the car than use the Waze navigation app designed for drivers (11 percent versus nine percent). Most respondents said they do these things out of habit -- and claim that they can do both safely at once. The inability and unwillingness to curb such habits, along with the rampant flouting of texting laws, has led to a variety of alternative technological approaches. On one end of the spectrum, there's a device from TransUnion designed for the insurance industry that disables texts, emails and the web on a phone in or near the driver's seat. On the other, one that accepts that you're going to text and drive and tries at least to make it safer by letting you listen to message read-outs and reply with voice prompts.